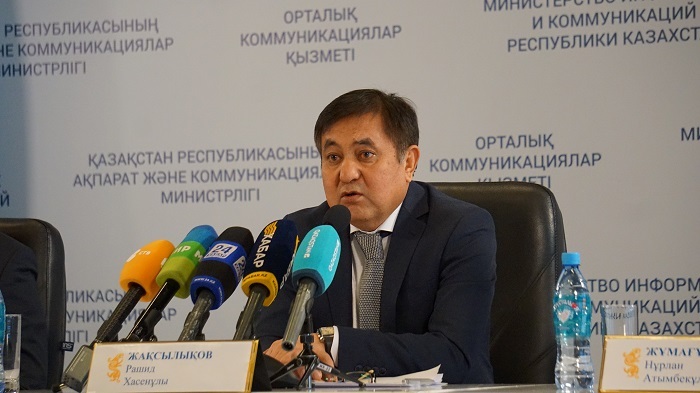 ASTANA – The Union of Kazakhstan Oilfield Service Companies wants to increase the involvement of domestic businesses and state support for the $45 billion in projects underway by Tengizchevroil, Karachaganak Operating Company and North Caspian Operating Company, according to a Feb. 13 press briefing. Kazakhstan Oilfield Service Companies Union Presidium chairperson Rashid Zhaksylykov. Photo credit: Abctv.kz. Foreign investments enable local companies to improve their competencies as part of the joint ventures and consortia. “One of the conditions proposed by the government is that the subsoil user provides the transfer of knowledge, technology and experience. The increase of local content share through the participation of Kazakh companies in major oil and gas contracts is an important part of bilateral cooperation,” said Zhaksylykov.